If you’re looking for fun and affordable ways to upgrade your kitchen, there are a variety of lighting techniques worth looking into. From kitchen track lighting to undercabinet lighting and recessed lighting, you don’t have to tear up your kitchen to improve its lighting and design. At M&M Lighting, we’re proud to offer a variety of lighting solutions to our customers to help them turn their home into a perfectly lit oasis. We offer some of the best lighting brands available including Kichler, Alkco, and Nora, and we would love nothing more than to help you find the perfect lighting options for your kitchen. Browse our lighting options online today or give us a call to learn more! Since the kitchen is the room in your home where your family spends a bulk of their time, it’s important to design the space just right, especially when it comes to your lighting. While there are a variety of lighting solutions to choose from, the lighting professionals at MM Lighting have come together to give you professional advice when it comes to illuminating your home’s kitchen. 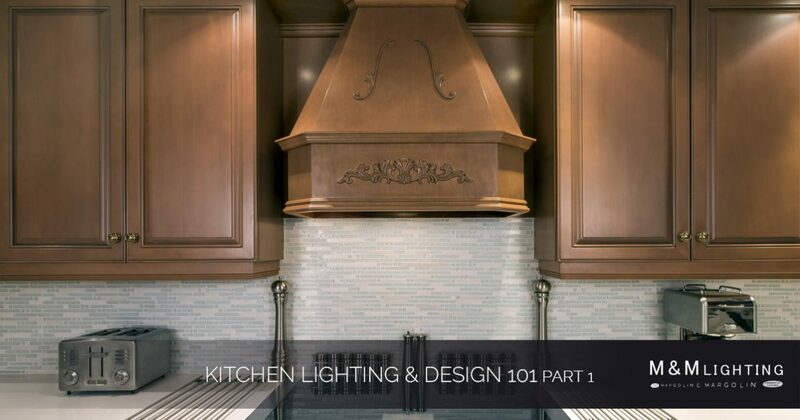 In part one of this series, we’ll discuss the track lighting and under cabinet lighting for your kitchen. While a single overhead light fixture can provide you with decent light for general cleaning and navigation, you may struggle with the lighting inside of your kitchen cabinets. This is where track lighting can be a useful solution. This method of lighting has been around for a number of years and is often used to display items such as artwork and other valuable objects. With this type of lighting, light fixtures are attached to a track with electrical conductors. With a variety of flexible designs to choose from, track lighting allows you to easily move lights along the track to adjust the lighting to your unique needs. Track lighting is available in incandescent, fluorescent, and high- and low-voltage halogen light bulbs. Track lighting is also available in LED lights for those looking for energy efficiency. Not only are LED lights designed for space efficiency, convenience, and decoration, they use significantly less energy as well. This can save you money on your home’s energy bills, which is never a bad thing! LED track lighting will also generate more brightness than other types of lights. Another great benefit of installing track lighting in your kitchen is you have the ability to change your lighting design from time to time. With a large variety of interchangeable lights available, owners can use different light designs for the purpose of decorating without too much trouble. Interchangeable lights are also available in different colors so you can spruce up your home with unique colored lights. If you need assistance choosing the best track lighting solutions for your kitchen, contact the experts at MM Lighting today. We offer a large selection of track lighting fixtures from some of the best lighting manufacturers in the businesses including Halo, Juno, and Nora. Call our lighting professionals today to learn how track lighting can improve your kitchen design! 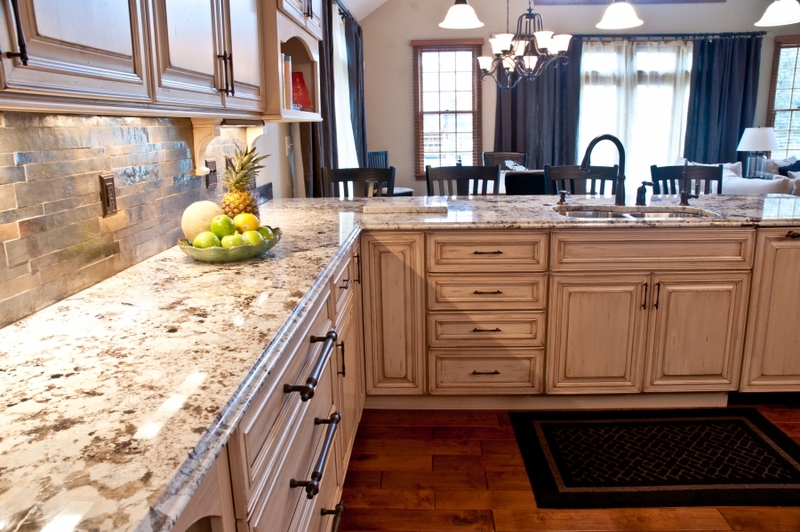 Improve the lighting and design of your kitchen by installing under cabinet lighting. This type of lighting will not only illuminate your kitchen cabinets, it will provide you with lighting where you need it most. Under cabinet lighting runs underneath your kitchen cabinets so you don’t have to worry about blocking lights when you’re using perimeter countertops. Before you purchase the first cabinet lights you see, it’s important to look at the different types of cabinet lighting available. When you work with the lighting experts at MM Lighting, we’ll help you choose the best lighting solution for your under cabinet lighting needs. Below are some of the popular lighting formats on the market today. When it comes to choosing your under cabinet lighting, there are a many different lighting formats to choose from. Hard-wired lighting means you’ll be able to turn the lights on with a pre-existing switch, but this can prove to be an expensive option for many homeowners. If you opt for plug-in lighting, this means you’ll have to switch on the light bar from the bar itself. In part two of this series, we’ll dive deeper into the benefits of under cabinet lighting for your kitchen while also exploring other popular light designs. At M&M Lighting, we’re proud to be a leading provider of home lighting solutions for every room in your home. Whether you’re looking to improve the lighting in your kitchen, bathroom, bedroom or family room, our lighting professionals can help. We offer some of the best lighting solutions from the world’s most popular light manufacturers including Lightolier, Halo, Capri, and more.